I'm a sucker for uncommon fruits and vegetables, often buying them without knowing what they are and then researching them and finding out how to use them. With spring upon us and avid gardeners everywhere sharpening their shovels (myself included), it seems like the perfect time to kick off a new type of post: the weird vegetable and fruit showcase. While this isn't the first such post (cue the Jackfruit post of 2013), it certainly won't be the last -- you can expect to see at least a handful of similar posts this year. Each uncommon food showcase will include some background info about the item, as well as a recipe idea or two in case you can find something similar near you! Keep reading for the dirt on lemon cucumbers, including why it's better than a traditional cucumber, where to get seeds, how to know when it's ripe, and recipe ideas. The little guy pictured is a gem from my garden buddy's vegetable patch. She grew lemon cucumbers last year, and I was invited to enjoy the last few that remained on the vine. Luckily, this one survived the fork and knife long enough to pose for a photo! 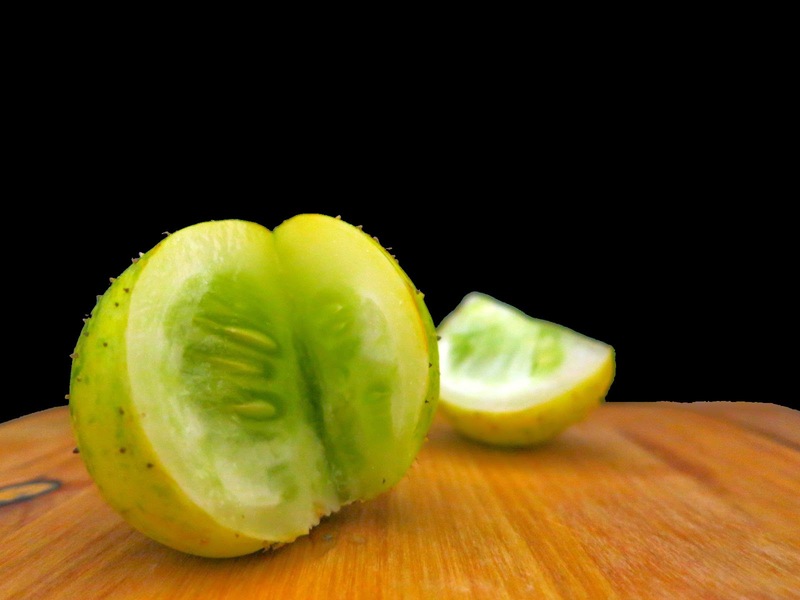 Although a lemon cucumber's skin is usually a deeper (and sometimes striped) yellow, you can see in the photo below that the skin on this particular one isn't fully yellow yet. That's because I picked the cucumber before it was fully ripe: winter was upon us, the vine had mostly died, and we had to pick whatever was left. However, it was still extremely tasty! The skin and flesh of lemon cucumbers are much less bitter than those of traditional cucumbers. Lemon cucumbers are usually described as having a "sweet" taste because of this. Some say that the cucumber itself has a slight lemony flavor, but I strongly disagree -- don't expect it, even if the seed package claims it will have a mild lemon taste. The skin itself is also much thinner than that of a typical market cucumber -- you can use this variety without peeling it first. Fruits are small, round, and typically 1.5"-3" in diameter. On my garden buddy's plant, the runts were about the size of a ping pong ball, and the largest fruits reached the size of a softball. 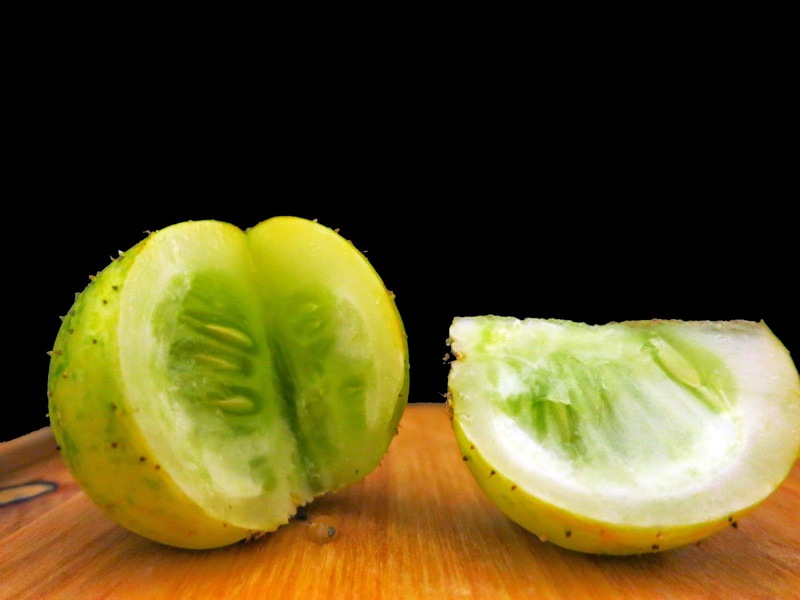 Appearance will vary a bit depending on the plant and specific seed supplier (if you grow them at home), but in general the cucumbers are light green to light yellow with some striations of deeper yellow color. Select fruits that are firm and without blemishes. Aim for fruits about 2" and up to 3" in diameter -- if you wait until they become the size of a tennis ball or larger, the seeds will become larger and harder, the flesh will be less crisp and the fruit will be less flavorful. Don't let the fruits get big and old! Pick them early. As for whether to pick them when they are fully yellow or while they still show some green, I've heard gardeners argue for both. A few home vegetable farmers say that you should pick them while fully green for the best flavor, while most others say you should wait until the last stripe of green fades away. Let your own taste buds and preferences be your guide. As you can see above, it's not the end of the world if you pick a slightly underripe one, though -- mine was tasty! Use a dry towel to rub the spines off of the exterior of the cucumbers before consuming them. Lemon cucumbers are also known as "apple cucumbers" and go by the name "budamkaya" in Indian markets. They were once quite popular in Australian supermarkets, but now you'll only find them in gourmet markets or farmers' markets when in season, if at all. 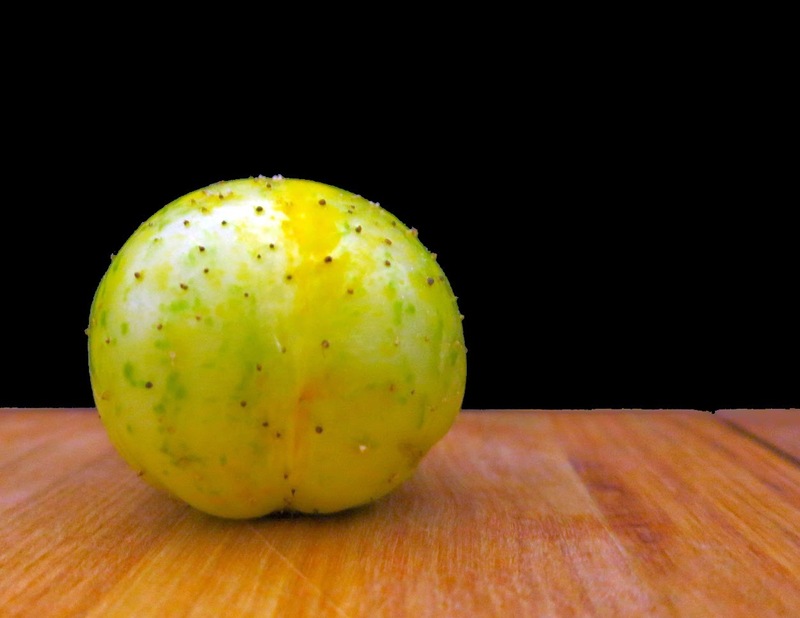 Because of their unique color, size and shape, lemon cucumbers are a beautiful addition to raw dishes that preserve these qualities of the vegetable. Almost any kind of salad recipe or pickle recipe would work really well. They also make a great on-the-go snack similar to an apple because they're slightly sweet, a convenient size, and don't require peeling. Below are some recipe ideas to get you started on how to eat lemon cucumbers. If you can't get your hands on lemon cucumbers, though, normal cucumbers would work just as well for the recipes below! Toss all ingredients in a bowl. Taste for seasoning, and add more olive oil, vinegar, salt, pepper, or onion if desired. Serve fresh. P. S. Remember to first remove the cucumber bristles by rubbing them with a dry kitchen towel! Combine the cooked quinoa, cucumber, tomatoes, herbs, olive oil, and vinegar. Mix until all ingredients are fully integrated. Add salt and pepper, mix again and taste. Adjust seasoning if needed. Done! Enjoy! And if you have any questions about growing lemon cucumbers, you can ask me those, too -- I can field them to my garden buddy and she might have some firsthand knowledge to pass along! Thanks for the link LOVE! What a fun post!